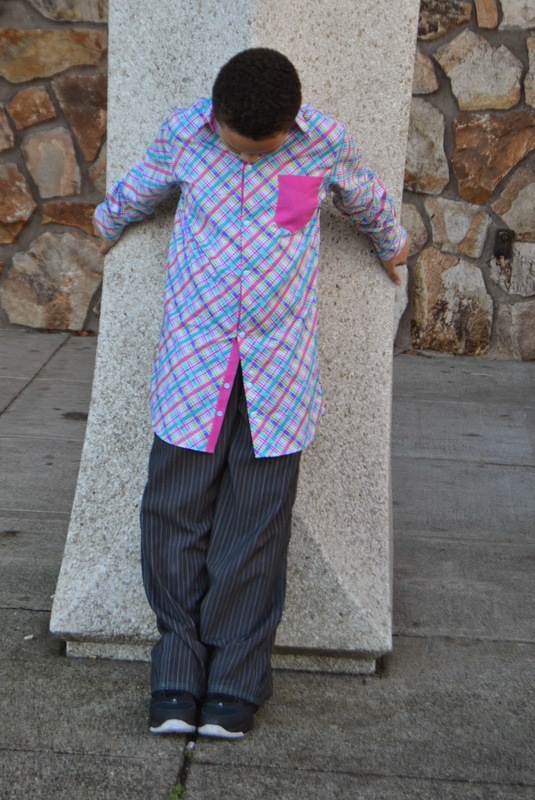 Amazing Adventures With Bubba and Bug: Boys Can Wear Pink.... Volume 2! 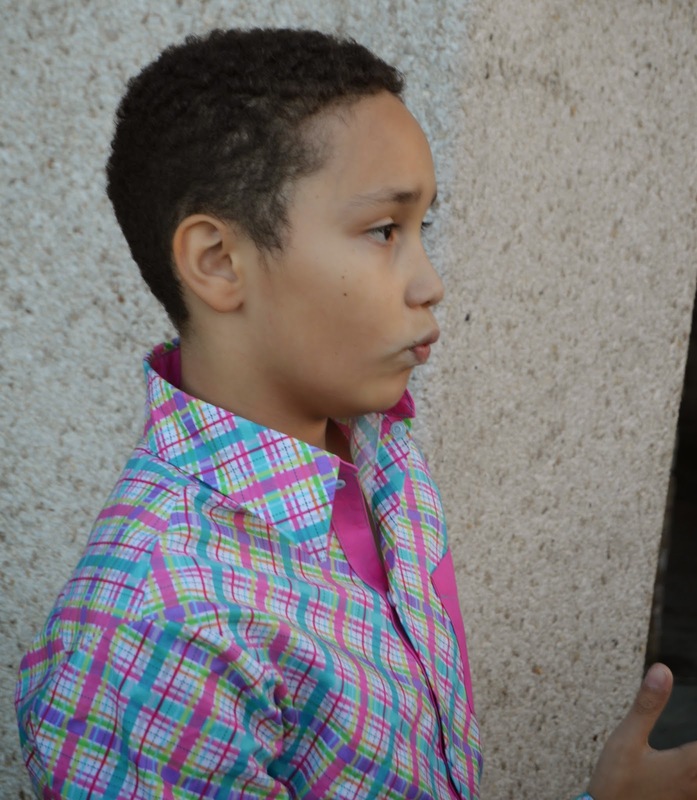 Boys Can Wear Pink.... Volume 2! So we had so much fun the first time, we decided to do it again! 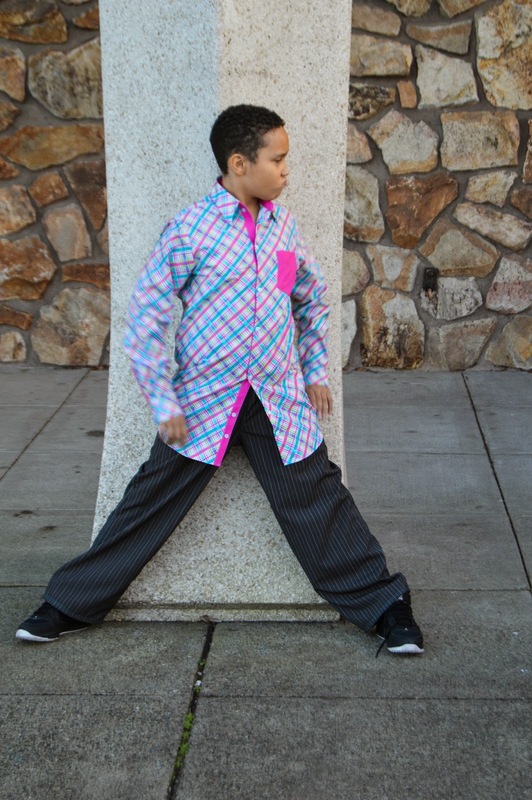 So here is my second installment in the Boys Can Wear Pink series hosted by the amazing Kelly from Handsome Boy. After you have read my post, head over and check out the amazing line up and other posts! 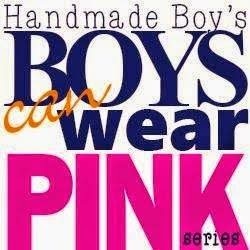 In case you have forgotten, (which I know you didn't) we are looking to break the barriers that boys are not "supposed" to wear pink. This stigma stifles our creative outlets and prevents our boys from wearing some amazing creations. It also harbors bias and stereotypes that lead to hurtful attitudes and words. Well, we aren't standing for it anymore so at least in my house, boys CAN and DO wear pink. I decided to make a whole outfit for my big boy this time. Being as large as he is, it is often hard to find pants/shorts that will fit him properly. A while ago, I jumped out and applied for a tester from Rabbit Rabbit Creations for a secret pattern. It turned out to be the most fantastic pair of pants for my son. I have made him 4 pairs of these already. What pattern is it? The Urbanite Pants! These pants are not only amazing in their fit but the detail included to ensure you have a professional looking final result. Check out my amazing pockets and double top stitching! Then to find a shirt that would fit and be roomy enough to not cause fussiness in my preteen I headed to my go to favorite pattern maker. 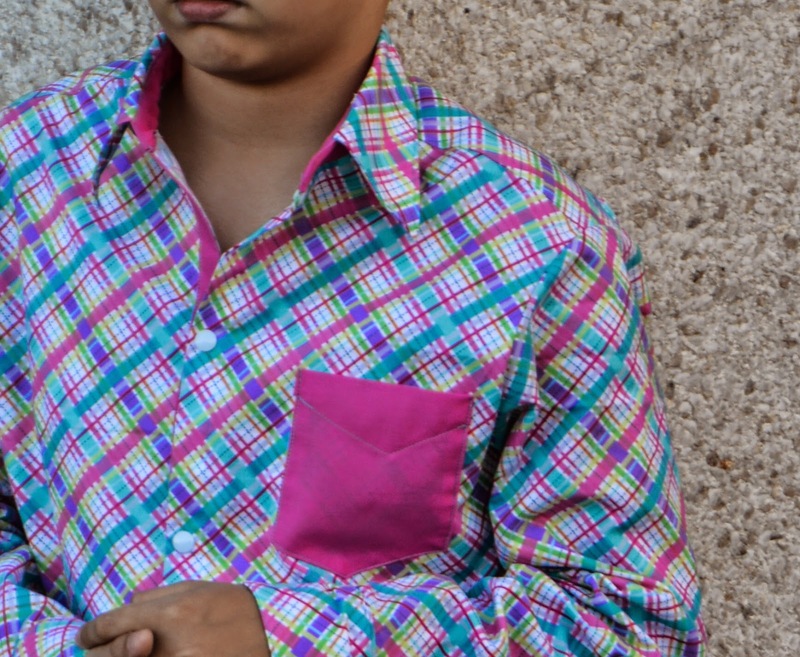 I choose The Ethan Boy's Button Up Shirt by Sisboom. Admittedly I am scared of collars and cuffs and facings and buttons... really all things dress shirt. But I knew I could trust this pattern to make me feel like a professional. And I do. And I fooled everyone else. No one suspected I made the shirt! Check out these amazing details! Altogether the outfit just worked! I was worried it would be too much but I think it turned out perfectly and will get some definite wear during the Spring/Easter season. Pardon my child trying to look "grown man serious", this must be a phase of the getting cool part of growing up? Enter to win one of the these FABULOUS prizes!!! I´m not sure how this works? Do I really only have to leave a comment here about my favorite way for boys to wear pink? Not a stupid question! ☺You can comment whatever you like. I don't know if I have a favorite, but I like boys to wear pink as much as I like girls to wear non-pink. Colors don't have gender!!! 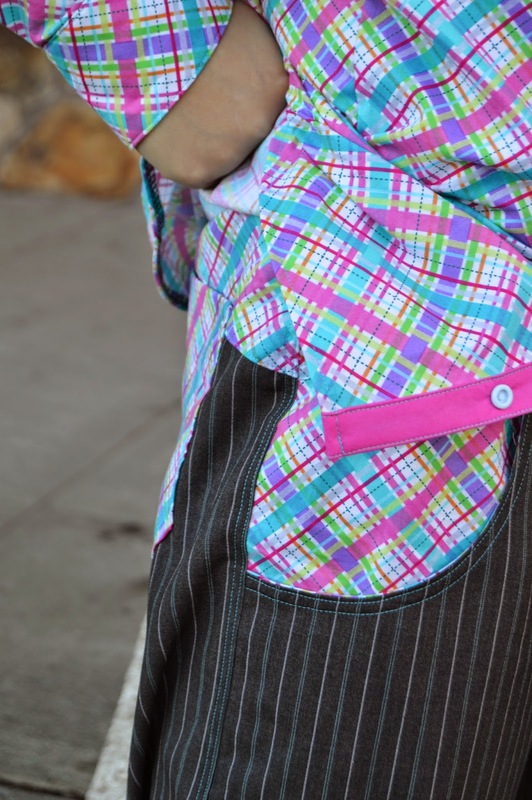 I love this colorful plaid and the bright pink.